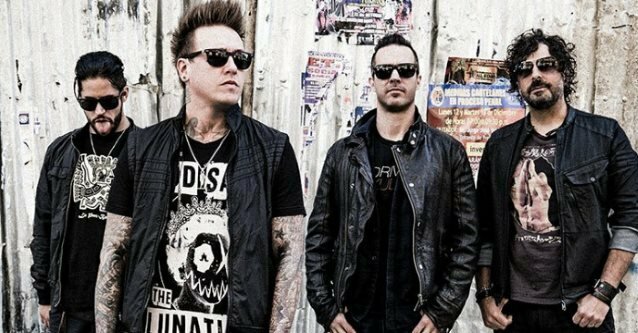 California rockers PAPA ROACH have released two more songs — "Born For Greatness" (lyric video) and "Periscope" — from their forthcoming ninth studio album, "Crooked Teeth". Due on May 19 via Eleven Seven Music, the disc will be available digitally and physically, as a standard (10 tracks) and deluxe (10 tracks + 3 brand new tracks + 16 Live tracks Live at the Fillmore Detroit) editions (see details below). Written and recorded in a cramped North Hollywood studio, "Crooked Teeth" was produced by first timers Nicholas "RAS" Furlong and Colin Brittain, with the exception of "Born For Greatness", which saw the band collaborate with writer/producer Jason Evigan (Jason Derulo, Demi Lovato, Zedd, MAROON 5) for this positive, pulsating anthem. Furlong and Brittain, who grew up listening to PAPA ROACH, inspired the band to revisit some of the traits that personally endeared the band to them, most notably singer Jacoby Shaddix's remarkable rapping technique and the band's intense live energy. "The first time we met up with RAS and Colin, they said that [2000's] 'Infest' was on constant rotation when they were growing up and they wanted to bring back some of that fire," says Shaddix. Adds Furlong, "The whole idea was to take the classic elements of PAPA ROACH that everyone loved and revamp them into a modern version of the sound through the creative process, and we ended up with a bold, courageous and more adventurous version of PAPA ROACH." The Furlong/Brittain production team worked to bring in elements of music from different genres and parts of the world, and pockets of rhythm people associate more with rap or reggae, while still staying true to PAPA ROACH's sound. "The people who have wanted to hear me rap for years are gonna love some of the viciousness on this record," Shaddix proclaims. 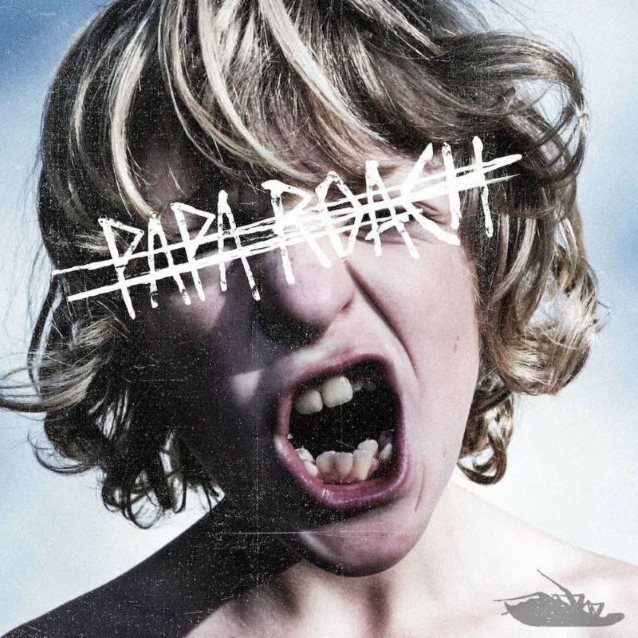 From the instantly infectious nature of the title track to the atmospheric sheen of the moody ballad "Periscope" (featuring Skylar Grey) and the acoustic/ hip-hop rock mashup of "Sunrise Trailer Park" (featuring Machine Gun Kelly adding a verse to Shaddix rap) "Crooked Teeth" displays the various sides of PAPA ROACH and illustrates why they've managed to remain relevant while other musical trends ebb and flow. "We didn't go into this album with the intention of trying to write radio singles," guitarist Jerry Horton explains. "This collection of songs was really about bookending everything that we’ve done prior to this album and reintroducing PAPA ROACH to people who didn't realize the depth that we have," says drummer Tony Palermo. In many ways making "Crooked Teeth" reminded Shaddix of the band's earliest days, well before they sold millions of albums and became a household name. "When we were in the rehearsal space I wasn’t thinking about who I needed to impress, I was thinking about how much I love making music with the guys in this band." "It [the album] feels honest and pure and that’s all we could hope for," adds bassist Tobin Esperance. The band is set to hit the road throughout the year, with more shows to be announced soon.